In General settings, the canonical URLs should be checked to ensure that every webpage on your website gets a canonical tag in the html. A canonical tag never hurts. It helps to help google to determine the URL to index. I leave the “no pagination for canonical urls” unticked. 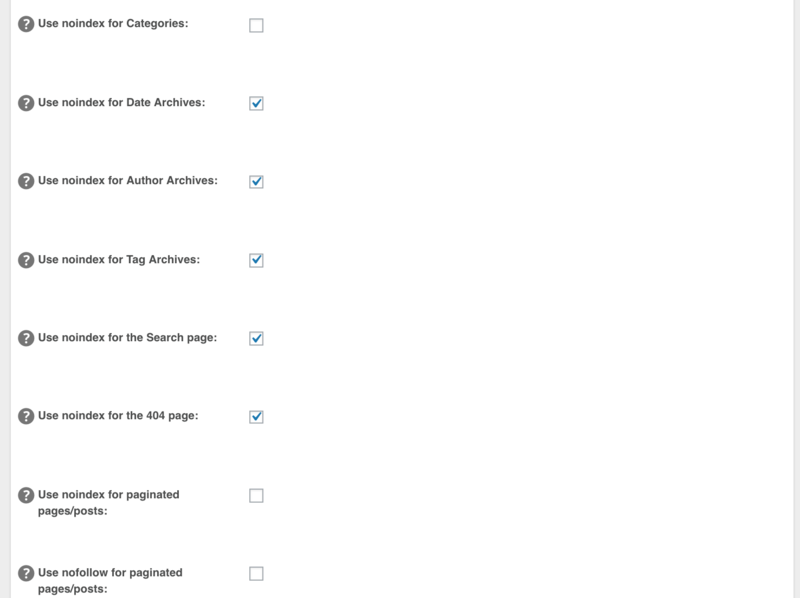 This means that every paginated category page gets a canonical tag. It causes every paginated category page to be displayed in Google search result. 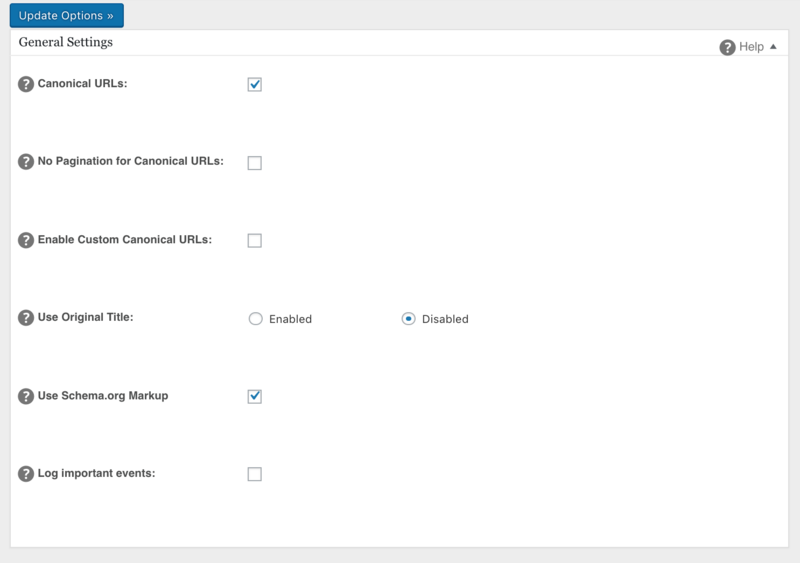 If you don’t need it you can also tick this box to point to the first URL of the wordpress category page in the canonical tag. In this case, it means that only one page will be displayed in Google search result, the first category page. Under the title settings section, Rewrite titles should be “Enabled”. It means that All in one SEO will replace the titles with the title logic described below “rewrite Titles”. I always use it because I want to be sure that my blog title is added to every titles of pages and posts on my WordPress website. 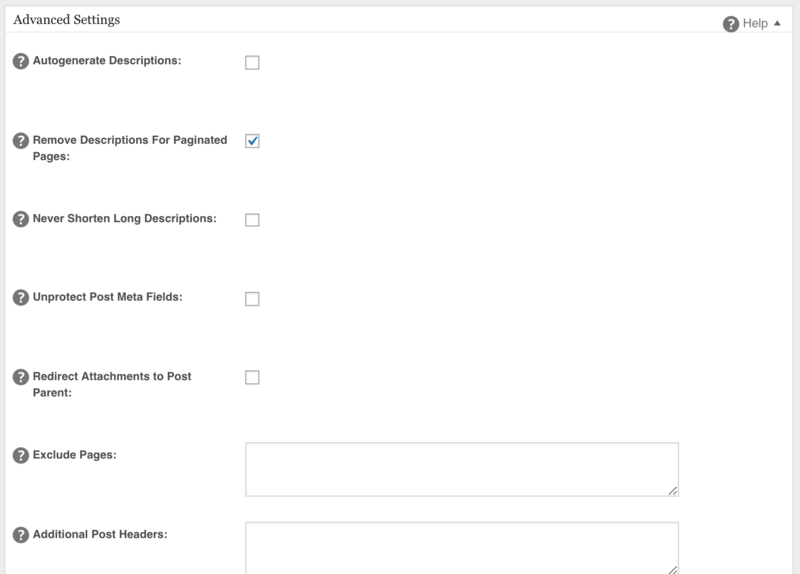 For your information, you change the “blog title” by going to Settings > General in WordPress. We wrote an article about SEO related to site title added after title of a page. Then, the most important tab, the noindex settings section. I do encourage to noindex Date archives, Author archives, Tag archives, Search page and 404 page. Category page should be indexed because John Mueller from Google said that noindex pages will be like nofollow after some time. Consequently, we should let the category pages get indexed to let the google juice flows through the links on the category pages to the posts. Then, I think that author archives, tax archives and date archives are useless in Google search results. Then, in the advanced settings, I tick “remove Descriptions for paginated pages” to avoid duplicates in descriptions.